Piano lessons in the 80’s, rocking the guitar in the 90’s, hanging out at free parties since the end of the millennium (followed by a hardware addiction), Johnfaustus is still making noise. He is a versatile producer, he navigates from dub to death metal with some mental acid core in between. After scouring the west coast of France without a specific goal for 15 years, he’s spotted for his acid core productions by the label obs.cur. What follows is numerous parties and vinyl releases. 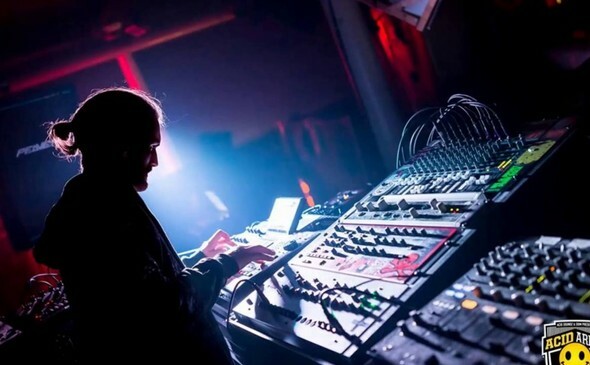 At our next event he’ll bring a 100% hardware live set with dark, distorted and psychedelic acid sounds.